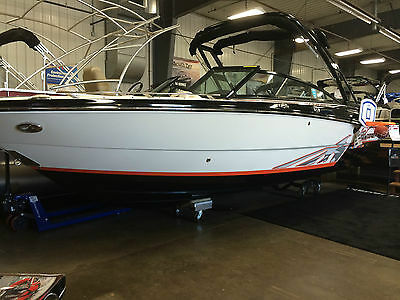 2013 Monterey 214SS END of SEASON BLOWOUT - Bottom Line - NO TRADES! 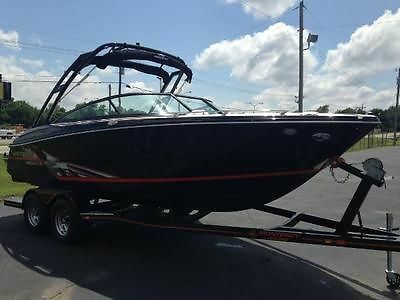 2013 MONTEREY 214 SS FEATURES INCLUDE:- Mercruiser 5.0L MPI AL (260 HP)- SeaDek Swim Platform Mat- Depth Finder- Fusion Stereo w/Transom Remote Control- Bow & Cockpit Covers- Bimini Top- Snap-In-Carpet- Eagle Tandem Axle Trailer w/Swing Tongue - Only 118 Hours! 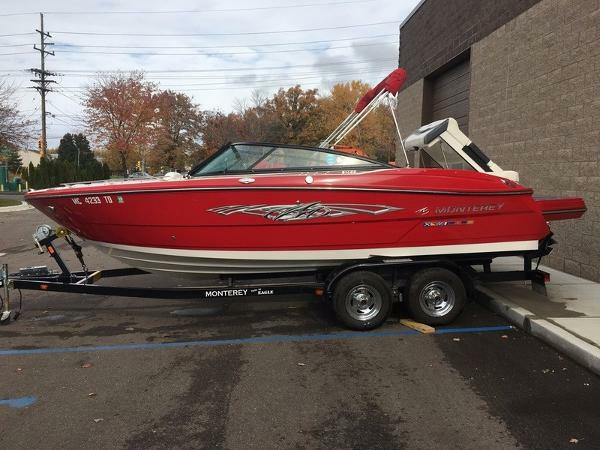 This boat was bought new in May of 2014, and it is still under warranty, has 65 hours on it, and it has a 5.0 MPI Mercruiser, Alpha one drive, top speed is 50 mph. 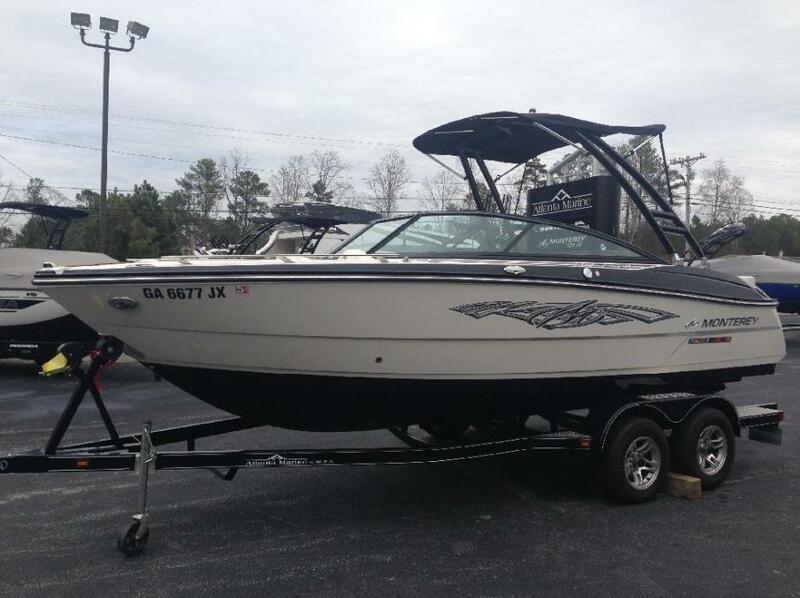 This boat does not use much gas, it has a big bimini top, bow filler cushion and custom fit boat cover. 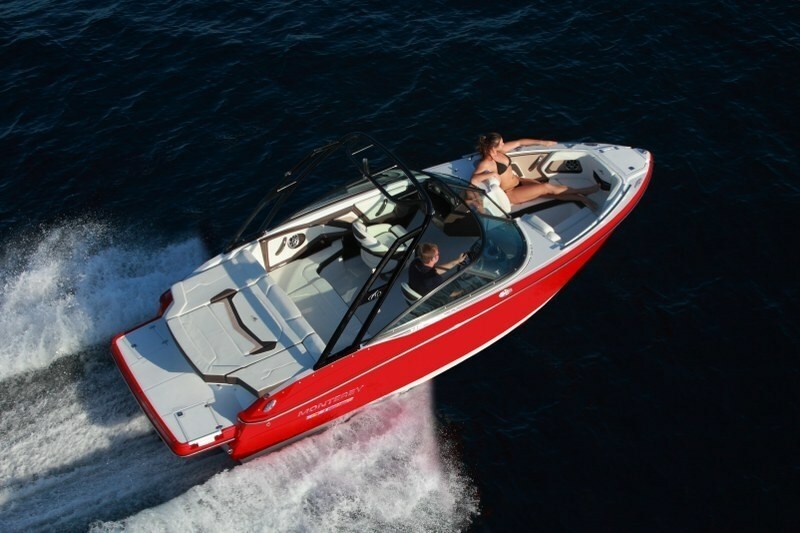 The boat handles smooth, has a deep v bottom and cuts through rough water. 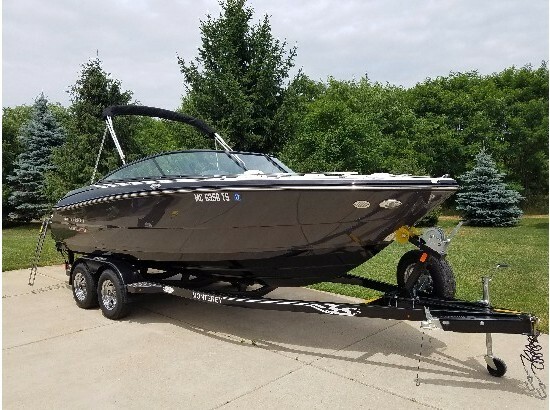 The boat is in like new condition, every time we take the boat out when we get home we spray the lake water off, pull all the cushions out and the snap in carpet is removed to dry. It has been waxed twice since we got it. The boat trailer has a folding tongue for easier storage. It also has nice swim platform over 2 ft.long. Very clean and well taken care of. 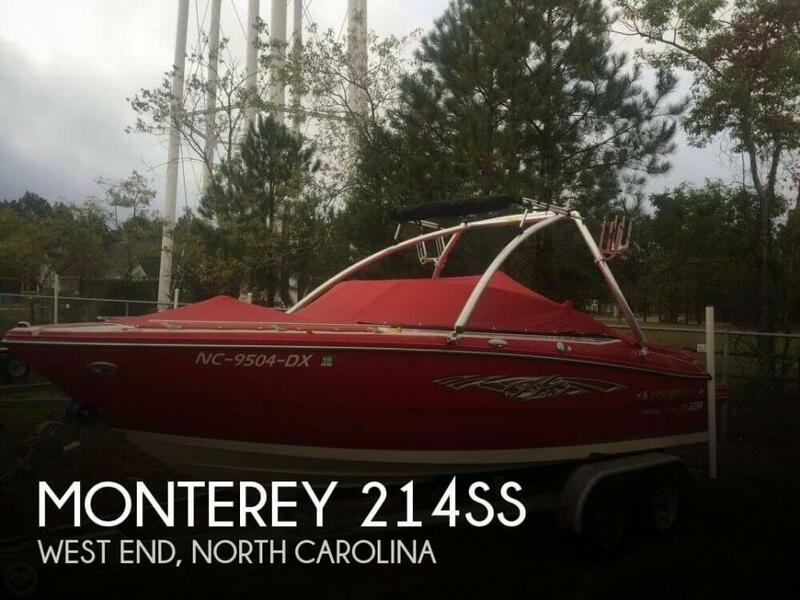 This is a very well maintained boat, very low hours, Has a very nice upgraded stereo system, factory underwater LED lights under swim deck and throughout cabin. comes with a very nice boat cover. We hardly ever get a chance to use the boat. 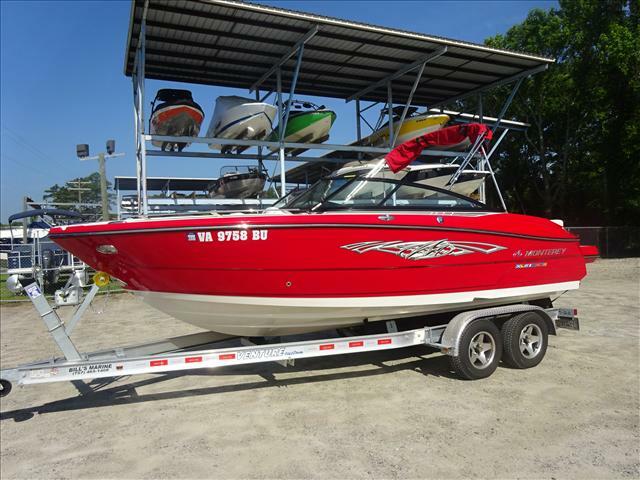 Has a deep hull and rides very smooth. WILL SHIP FOR FREE!!! 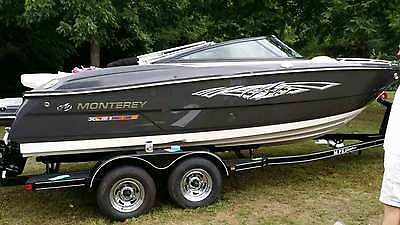 2014 MONTEREY 214SS - BRAND NEW - LOADED! SUMMER CLEARANCE!!! OTHERS IN STOCK!